Dr. Kaplan conducts speaking engagements for healthcare organizations around the Untied States and abroad. His audiences include hospital and medical group practice leaders, management teams, emergency department staff, physicians, and a variety of other healthcare providers. During his presentations, Dr. Kaplan shares tools and tactics to improve patient care and both employee and physician satisfaction, using humor and personal stories to inspire those in the audience. Dr. Kaplan will work closely with your organization in advance of the engagement to customize his presentation to ensure that he exceeds your expectations. He will schedule a pre-visit phone call with members of your team to discuss the audience demographics and specific outcomes and objectives for the presentation. In addition he will request information about your organization to effectively partner with you so he can provide specific methodologies to address any areas of opportunity and highlight successes within your organization. Dr. Kaplan will invest his energy to understand your goals to deliver an outstanding presentation to your audience. 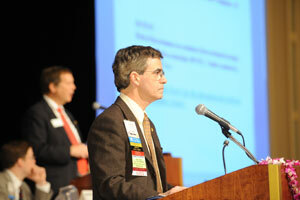 Check out the in depth list of Dr. Kaplan’s topics on the presentations page. You can also watch Jay in action on the video clips page. To inquire further about having Dr. Kaplan visit your organization, please contact us today.